FIFO Video Program — AIRspace Projects inc. Cluster Pop comprises two performative self-portrait animations by Amanda Davies. Davies is fascinated by the oscillation between seeing and sensing, the abject and rejected, the assimilated and misconceived, the known and the unknown. She seeks to articulate something of what lies within - transforming a body state experience into an image to be seen. This presentation has been developed by ‘Without talking, no value is produced’. Based in Hobart, ‘Without talking,’ is a curatorial collaboration between Kylie Johnson and Sarah Jones. Davies is best known for her figurative paintings, winning the 2017 Portia Geach Memorial Award. 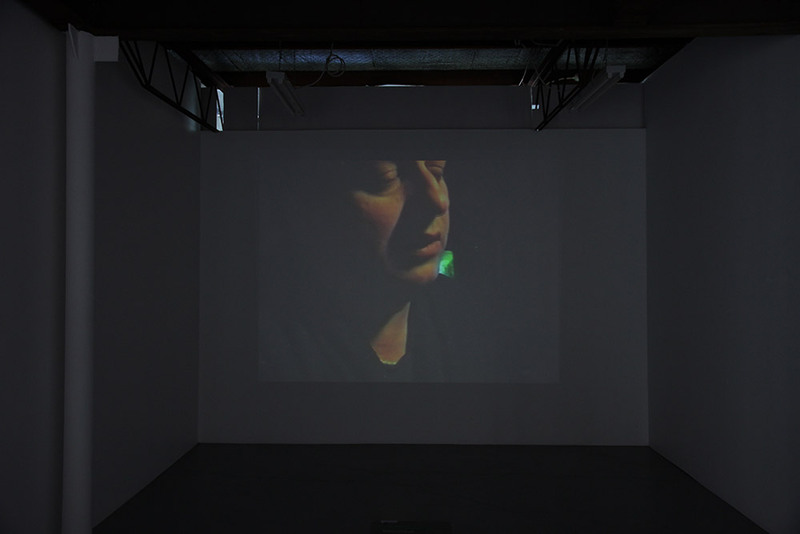 Cluster Pop is the first time the artist has shown moving image works in Sydney. Davies attained her BFA from the University of Tasmania in 2003. Since this time she has received numerous residencies including: an Arts Tasmania Claudio Alcorso International Residency to study in London (2017) and an Australia Council for the Arts Rome Studio Residency (2012). Recent exhibitions include: Mistake, Bett Gallery, Hobart; a bruise has no tears, Contemporary Art Tasmania, Hobart (2016) curated by Pat Brassington and Kylie Johnson; Dark Mofo, Hobart (2016) and Purge, Cross Art Project, Sydney (2012) curated by Craig Judd. Darkinjung/Wiradjuri artist Dale Collier is a socio-politically engaged practitioner whose work cross-examines contemporary falsehoods, nationalistic propaganda and complex co-opted Scottish settler & British convict traditions. Often manifesting as institutional critique, Collier's site-specific projects traverse live spaces and places of key cultural, geo-political and environmental concern. I am not an Island is a new body of work that utilises ubiquitous materials to activate and respond to sites of instability. The work was created whilst undertaking an artist residency program in the Toronto Islands, Lake Ontario, Canada during the fall of 2017. After a series of severe storms and the flooding of Lake Ontario, the Toronto Islands community experienced forced evacuations and was closed indefinitely due to extreme weather conditions. Throughout the following months this body of work unfolded with experiments into data visualisation, found objects, residual control measures and other ubiquitous materials to perform embodied extensions of the biosphere while considering the effects of climate change. and early part of this century. Christopher Coppola. He lives in San Francisco, California. The work “Family Album” tells the story of my mother as a migrant. The video depicts both our hands as we go through the family album, from the year 1965 -1982; pre 1990s wartime in Yugoslavia. My mother talks about her birthplace in Serbia, and why she relocates with her family to Macedonia in the 1960s, with the dream of becoming a permanent citizen of Turkey. The migration flow from the Balkans to Turkey took place during four historical periods, throughout the 20th century. The agreements were initially related to nation- and state- building, creating homogenous ethnic societies. Minorities of Muslim Albanians, Bosnians, Circassians, Pomaks, and Tatars, were supposedly easier to melt into a Turkish society. In 1970 my mother moved to Denmark as part of a surge of guest workers. A country she had never heard of…or even imagined to live in. Her journey begins with overcoming the language barrier, being hired as a guest worker in the Danish chocolate factory Toms. 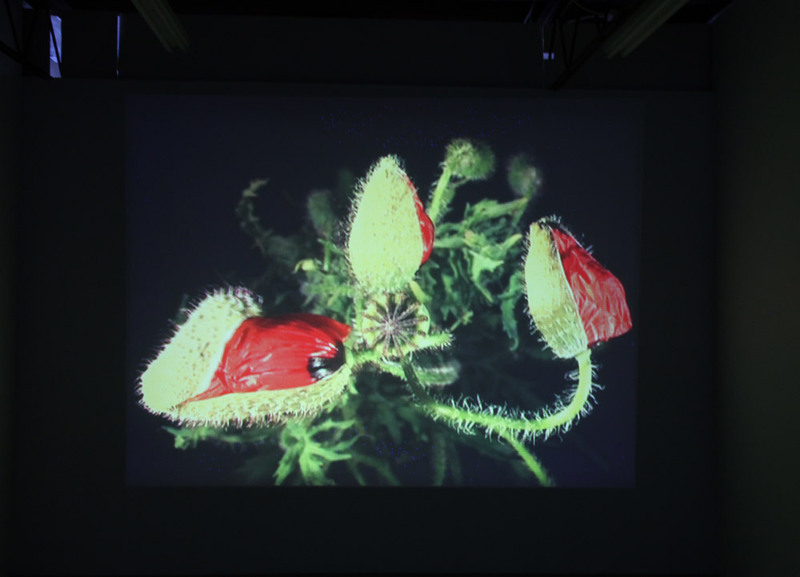 Red Poppies #2 has been made as a projection. The poppy was photographed against a black background. When it is projected, the black background is not visible and we see only the flower/the object. The border of the picture has been made soft, so that the traditional cut, the edge between the projected picture and the surface it is projected on, becomes as invisible as possible. Red Poppies#2 focuses on the poppy, which is allowed to unfold and fill the entire picture before our eyes. Since the end of World War II the poppy has been a symbol of the blood spilled in Flanders; the year after the fallen soldiers had been buried, poppies sprang out of the overturned earth and coloured entire fields red. Since then the poppy has become a symbol of peace, and in Great Britain every autumn people celebrate the Armistice by wearing a poppy in their buttonhole. In some countries the poppy with its beautiful red colour is also the flower of passion and love. It is a delicate flower whose petals fall off as soon as it is picked. Like peace and like love it is fragile. We must take care of it. Professor at College of Arts at Chung-Ang University, Seoul. Hellberg lives and works in Berlin and Seoul. 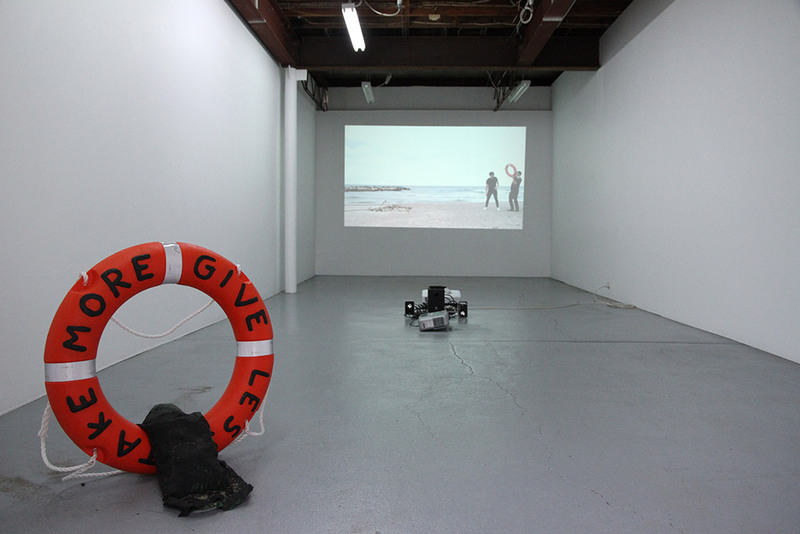 It was with great pleasure I accepted the invitation from Marrickville Garage and Airspace Projects to choose artists and filmmakers for a video screening at Airspace Projects. Then it dawned on me that I had to make a choice. How do you do that? My background is not that of a curator. I am foremost a practising artist and secondly a lecturer of new media art at Chung-Ang University, South Korea. This fact I thought could be to my advantage. I don’t need to relate my choices to any current curatorial paradigms or discourses, as it is not my field of practice. It means that I will not make a half-baked attempt doing a curator’s job. Curators are much better at their jobs than me. However, I hopefully share the love for art with art and video curators. I do also believe that a person who is fully engaged in art, whether an artist, curator or whatnot, has the ability to make an interesting selection of artists or artworks. The special field where you work brings the knowledge, acquired by experience, to the task. The work of an artist and a curator overlap in many ways, thus it might be stimulating to see different engaged people presenting their views. The selective process has to be highly subjective to become interesting anyway. So I acted instinctively, when I set out to find a group of artists and filmmakers to present at Airspace Projects. Most of the selected artists and filmmakers I have come across at professional occasions. I have either exhibited together with them or worked with them in various ways. It has given me the opportunity to get closer to their work as well as seeing what lies behind the work. Some of them I have known for many years. I have followed their development and I have had many interesting discussions about video and filmmaking. There’s no theme that ties these artists together, just my appreciation of the qualities of their works. 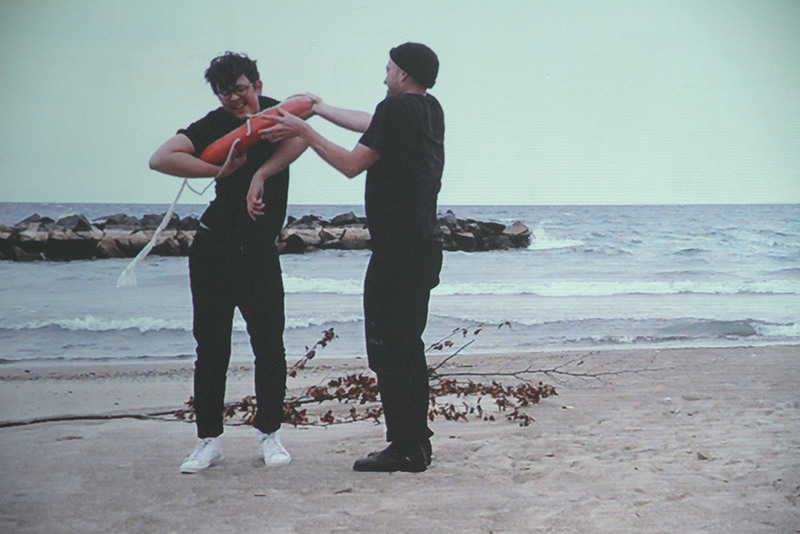 The videos and short films make a weave of corresponding expressions of ideas. I have tried to create a selection that could resemble seven people having a discussion about different aspects of life. Filmmaker Carolina Hellsgård has a narrative tone in her film Hunger that touches Gina Wong’s Road to Day Dream Mine - you can sense biographical elements as well as a good sense of camera work. Both artists work with a quiet intimacy. This I also find in artists Mariana Vassileva and Minha Lee, both whose works break standard narrative. Their videos have closer connection to performance art. Rebecca Ann Tess’s video The Tallest is further removed from people as subjects, but there’s a personal presence that made me want to place her in this weave of videos. Her work is more social and political, bridging to Jannicke Låker’s video Sunday Mornings that directly deals with a person’s social situation. Elin Magnusson, who often works with performance, in her video Manshat states a very personal and unavoidable statement. Maybe it is the most directly politically, socially and personally confrontational work in this selection. Nevertheless it belongs in this discussion about life, where all works are firmly founded in the person behind the work.